A New Place to Gamble? Joseph Schell You can play computer gambling games for cash at the I-Zone in Pleasant Hill. Strip away the packaging of your average slot machine — the flashy lights, the alluring ring-a-ding-dinging— and you've basically got a computer game that spits out money when you win. In the Bay Area, a few enterprising entrepreneurs, including reputed bingo mogul Robert "Bob" Casteel, have figured out a way to exploit the similarities between computers and slots by capitalizing on a gray area in California law. They've opened "Internet cafes" that offer slot-like games on computers that pay out cash. Sound sketchy? The City of Oakland thought so, too. Two of these local ventures, one operated by Casteel at Foothill Square and another at Durant Square, recently fell under serious scrutiny by city officials. They sent a cease and desist letter last fall to Casteel and Durant Square operator, Ray Abels, stating that the storefronts were operating Internet bingo, which is not allowed in the City of Oakland. The Oakland City Attorney's Office then threatened to shut down the businesses. Although both Casteel and Abels insisted on the legality of their ventures, they voluntarily closed their cafes in mid-October while the city figured out whether the businesses were legit or just a cover for illegal gambling. 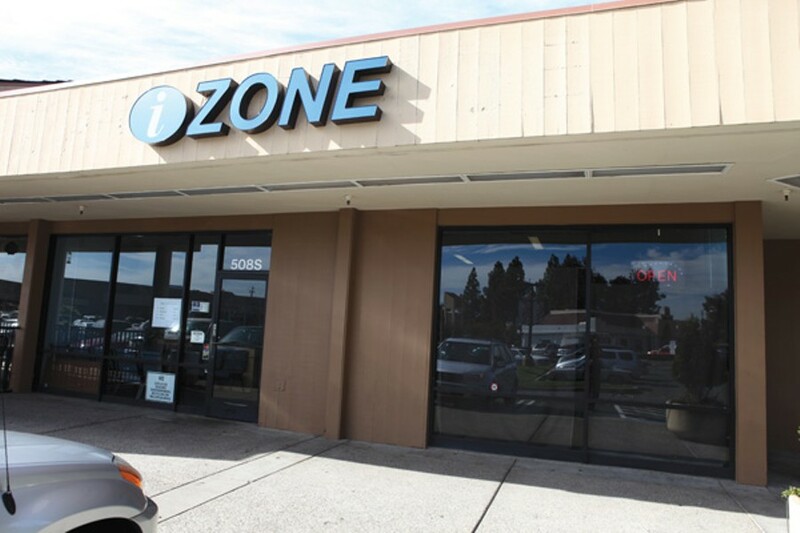 During their closure, I visited another one of these Internet cafes — the I-Zone — in a strip mall next to a few restaurants near Diablo Valley College in Pleasant Hill. The windows of the I-Zone were shaded. About fifteen patrons were inside, sitting among rows of roughly thirty computer screens. I saw one person using the Internet to browse Facebook. The rest were playing flashy, colorful games, some of which made hushed chiming sounds as they played. I paid the woman at the front desk $5 for about twenty minutes of "Internet time." She also said I would get "100 chances" to win at a computer sweepstakes game. She said I had the option of sitting at an "Internet exclusive" computer, but I told her I wanted to play the games. Then she sat me at a computer screen and explained that the Internet time would not run while I was playing my chances. A colorful stack of balls bounced across the screen, and I clicked the "Play" button with my mouse until I had increased my original $5 investment to $7.40. A cautious gambler, I decided to quit while I was ahead. There was a button on the corner of the screen that took me back to a Google search prompt when I was ready to use my Internet time. However, the computer I was on didn't really seem set up for Internet use. The keyboard didn't work. So I collected my winnings, and went on my way. The manager of the I-Zone refused to divulge any names associated with the business or owner, and said that the owner would not comment on the controversy surrounding the sweepstakes cafes in Oakland or the legality of the operations at the I-Zone. But James Mecham, a consultant who works for SweepsCoach, a company that helps people all over the country open "sweepstakes gaming cafes," insists that if the owners are running a tight ship, the ventures could very well be legal. A sweepstakes game, Mecham explained, is lawful where slots aren't because, technically speaking, the game is designed to encourage people to buy a product, and not directly buy "chances" like in other forms of gambling. For instance, burger lovers at McDonald's are automatically entered in their "Monopoly" game for the chance to win a bunch of money every time they purchase a burger. Sweepstakes cafes offer the same deal, Mecham argued. "It's kind of like the McDonald's Monopoly game on steroids," he said. Still sound sketchy? 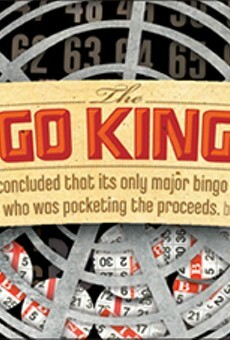 Legally speaking, there are three elements of gambling: prizes, chance, and consideration. The first two are self-explanatory. The third means that the customer paid directly to enter the game. By charging customers for Internet time, or in some cases for long-distance phone time, instead of directly for entrance into a game, a sweepstakes cafe, Mecham argued, removes the third element of gambling — consideration. "Simply put, the sweepstakes machines are our Monopoly game and the Internet or phone time is our cheeseburger," reads the SweepsCoach web site. Of course, few people buy 1,000 burgers at McDonald's then throw out the burgers to up their chances at winning the Monopoly game. In order for the sweepstakes cafes to remain legal, selling the featured product — Internet time — has to remain the central purpose of the business. Patricia Simmons, who owns T's, an Internet cafe in Antioch, said in a phone interview that the games are merely a promotional tool for her Internet business. "Everyone is up in arms about something they don't understand," she said. Mecham, who is based in Sacramento, said that his SweepsCoach business is booming all over the country — except in California. That's because gambling laws here tend to be more rigid than elsewhere, he said. But that doesn't mean they're airtight. Depending on how far California sweepstakes cafe operators are willing to go and how much money the vendors providing the games are willing to spend, an operator that chooses to fight the legal battle could very well win, Mecham said. And a higher court decision in favor of the cafes would set a precedent for the whole state. It hasn't been done yet in California because no one has wanted to take such a potentially pricey risk, Mecham said. "They don't want to be the pioneer in charge, taking the arrows," he said. But local critics contend that Casteel and Abels, the Oakland Internet cafe operators, were using the money they made from computer sweepstakes games to supplement their bingo halls. The two are also the bingo permit holders at Foothill and Durant squares charitable bingo halls, according to Oakland Assistant City Administrator Arturo Sanchez. In both cases, the cafes were located adjacent to the respective bingo halls. Casteel also appears to own an Internet café in Vallejo around the corner from his bingo hall in that city, 777 Bingo. According to a Vallejo city official, the business license for the Vallejo Internet cafe, Lucky Business Services, is listed under the name Surety Administrative Service. And the phone number given for that business belongs to Casteel. Critics claim that the Internet cafes also give bingo operators like Casteel a competitive advantage over local charities that are trying to raise funds through bingo games. They allege that Casteel can keep his bingo hall "buy-in" charges low because of the extra cash flowing from his nearby cafe. Neither Casteel nor Abels responded to calls for comment. At an Oakland City Council meeting in October, Richard Poe, a Richmond bingo hall landlord who said he was leasing his space to charities at no cost, said that given the prices being offered by the two Oakland halls, there's no way they could be making a profit, let alone stay afloat. "We'd like to see these shut down," Poe said. "What we see going on really is not what they intended in 1976 for charitable bingo." Of course, in 1976, when state voters decided to legalize bingo for charitable fund-raising purposes, there was no such thing as electronic bingo. There was just the old paper game. Both Foothill and Durant bingo halls featured electronic bingo until January 2009, when a new California law banned the machines from all charitable bingo halls in the state. Oakland and other Bay Area municipalities adopted the new state rules into their bingo ordinances. Nancy Marcus, an assistant to the Oakland city administrator, said the city told the two Internet cafe operators to shutter their doors and move out under direction of the California Attorney General's Office. If Casteel and Abels refused, then they might have faced state charges. In June 2009, the attorney general's office announced it had shut down "illegal gaming operations" in Stockton and San Diego after raids of a number of "Internet cafes," operating video poker, keno, and slots. "The agents purchased a card that allowed them 'Internet time' on the cafe's computers. If they won, an on-site employee paid them in cash," read the press release. As of January 23, a visit to the former Foothill Square Internet cafe revealed that Casteel had decided to heed the city's warning and move out. However, the Durant Square Internet cafe was still open, advertising itself as the "Bingo Zone." Marcus said she wasn't aware that the cafe was still open and games still were being offered. Although it's unclear whether Abels, the Durant Internet cafe owner, will fight if the city cracks down again. If it does, he may have a legal case to stay open. Mecham argued that as long as sweepstakes cafe operators stick to a business plan that features the product instead of the gaming, an expert will find that "although it looks like a duck and quacks like a duck, it's not necessarily a duck."